Click the button below to add the Kawasaki Vulcan 1500 Classic Batwing Fairing 112-0000 to your wish list. You must make sure your triple tree has the mount locations as indicated in the photos at the bottom of the listing. NOTE: The brackets provided are designed to fit the widest possible range of bikes. Please note that, in some instances, you may be required to drill new bracket mounting holes in the fairing or use washers as shims. 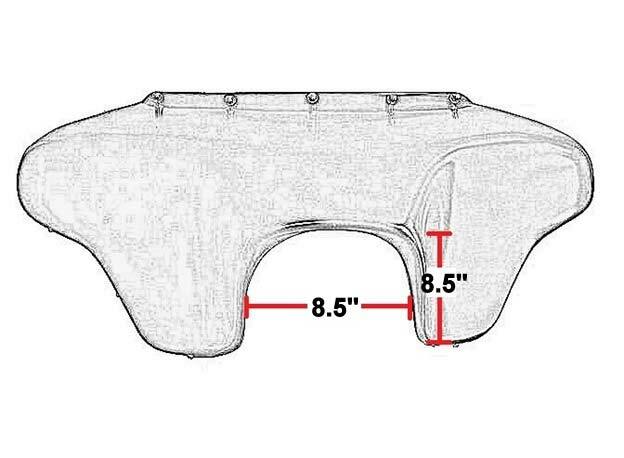 NOTE: Before placing your order, please measure your motorcycle to ensure that our fairings will fit your bike. Use the above image as a guide.